.EGL Hot Pics Of The Week: King Bey, LaLa, Tyrese, Tracee Ellis Ross & More!! King Bey has to be the greatest gift to Instagram. The hot mama is more open to sharing her personal life these days and you can definitely see her eccentric personality through her photos. 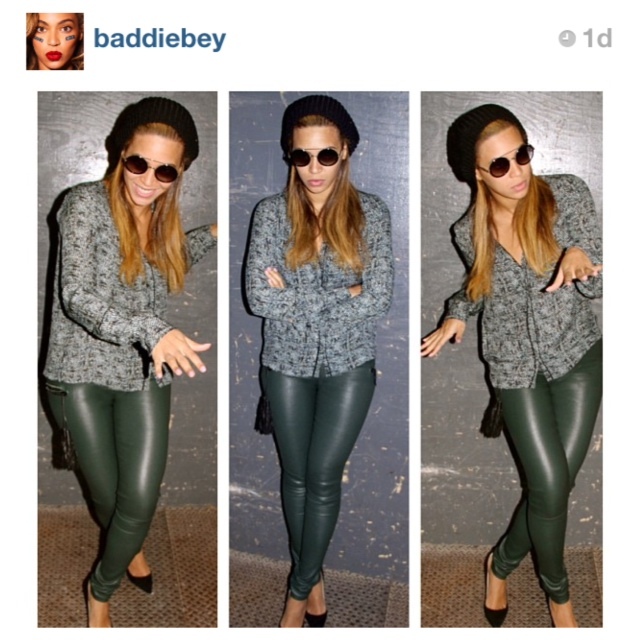 This week, Baddie Bey posted a pic wearing green leather pants and vintage frames while posing like a 70’s cool cat! 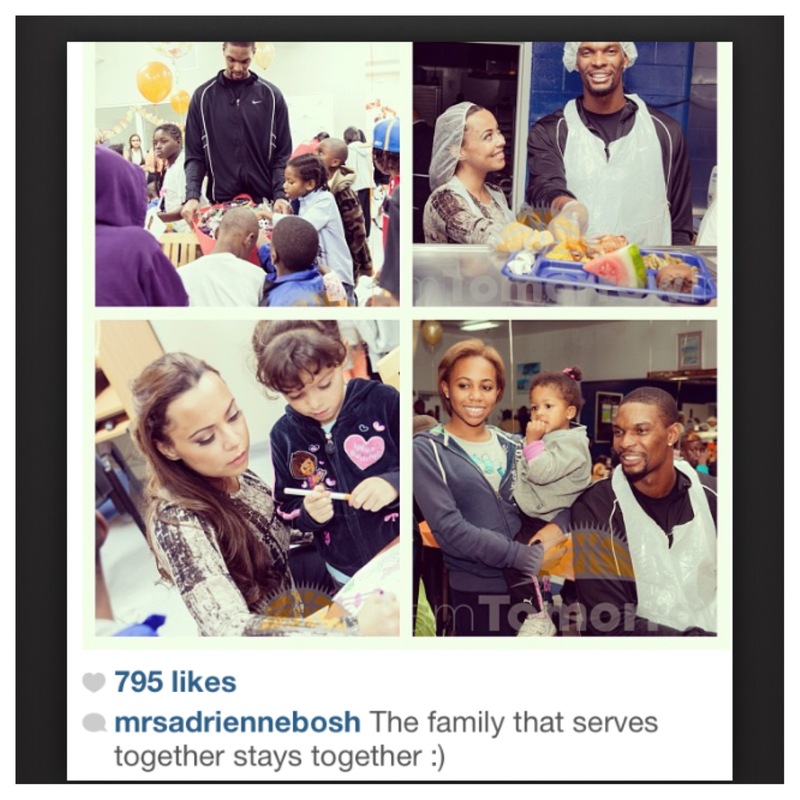 Miami Heat forward Chris Bosh and his wife Adrienne are in the holiday spirit! The couple and their Team Tomorrow charity fed families in need of a hearty Thanksgiving meal. It’s great to see the power couple help the community and allow everyone the chance to have something to be thankful for. Tracee Ellis Ross can make anything look high fashion! The style icon usually wears bold colors and beautiful silhouettes; but this week she gave us another side of her. 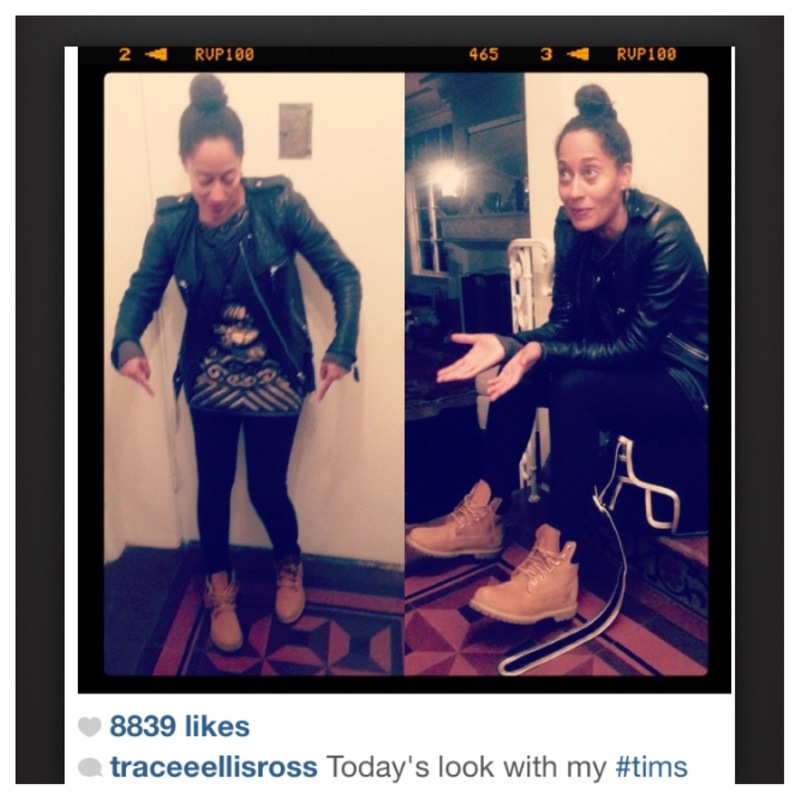 The actress rocked a tomboy look; pairing her leather jacket with a fresh pair of Tims. She looks amazing! 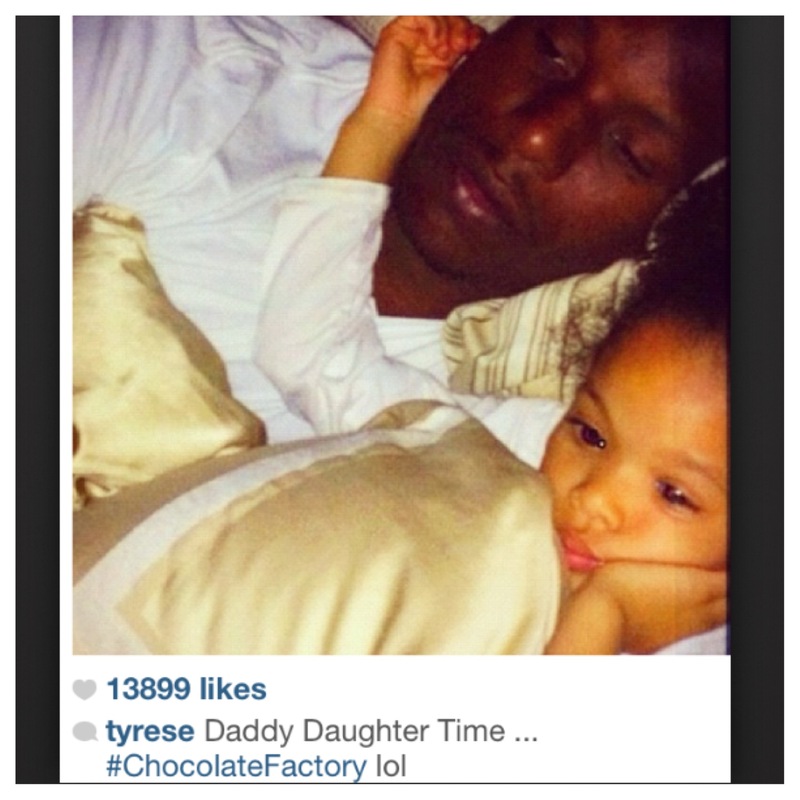 From the looks of it, there is only one leading lady in Tyrese’s life. The actor spent some quality time with his daughter to watch Willy Wonka and the Chocolate Factory. He was all cuddled up with his baby girl as she rubbed his ears. How cute is that? 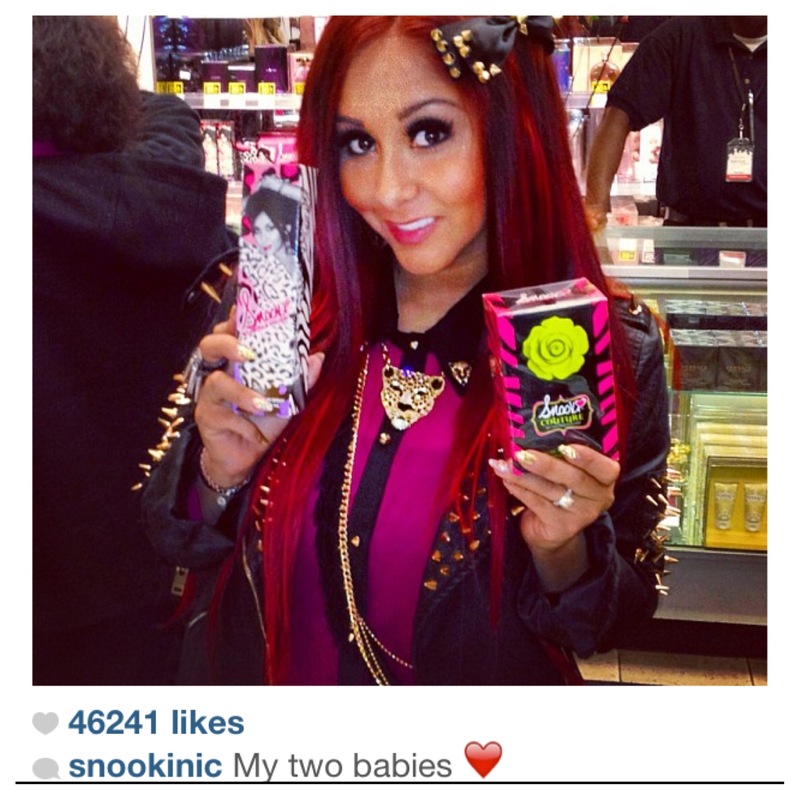 It’s hasn’t been that long since Jersey Shore’s Snooki had baby Lorenzo, but she’s already back to work! The guidette posed for the camera as she debuted her second fragrance, Snooki Couture, at Perfumania. Sidenote: How do you like the red hair? It looks like Lala Anthony is enjoying her new job! This diva posted a picture of her on the set of Baggage Claim with two ninjas by her side? We’re not sure what they are, but we do know that Lala looks fabulous! Basketball Wives star Draya took her son Kniko on a shopping spree! The two hit up the mall in search of the perfect pair of shoes. Draya’s son must be at the age where appearance starts to matter because she said she had “men problems.” We love seeing Draya with her son! 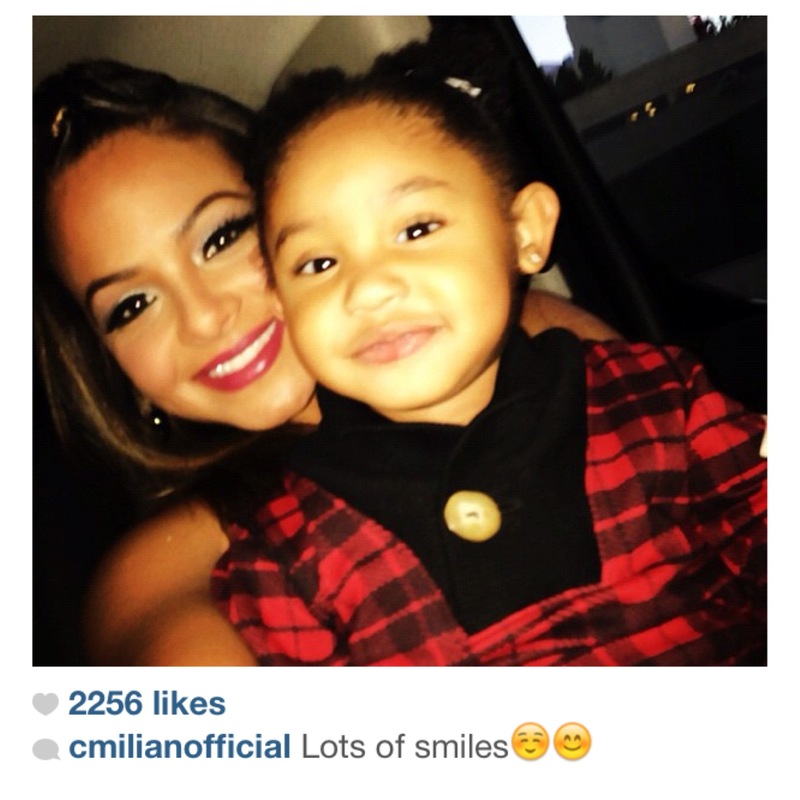 Christian Milian’s daughter Violet has to be the most adorable thing ever! The Voice star took some time to pose for the camera with her little one. We love it!